Marginalia, in brief, are notes written in the margins, or beside the text of a book by a previous owner. This is very different from an inscribed book. An inscription is a short signed note written in the front of a book. This kind of personal notation can provide clues to how a book was interpreted, how a person pursued the text, interesting perspectives from a historical perspective, and a glimpse into a reader's personal take on the context of the work. Some famous examples of marginalia include notations by Mark Twain, Vladimir Nabokov, Edgar Allan Poe, and Samuel Taylor Coleridge. 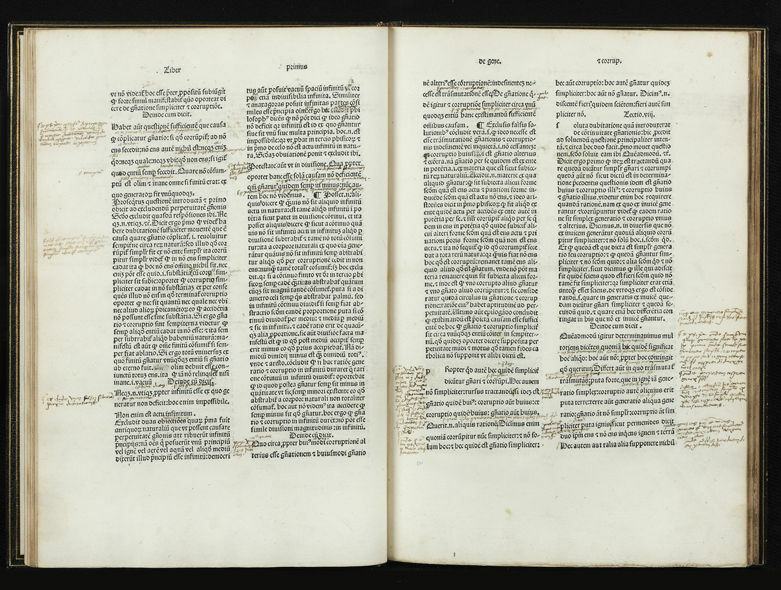 In the past, some books were printed with blank leaves between the pages, specifically for marginalia. In another common practice, a book owner would take their binding copy of a book to a local bindery, who would re-bind a book with blank leaves for notes. This practice was known as interleaving.